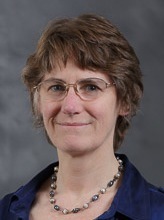 As Associate Vice Provost, Mari Ostendorf oversees the Applied Physics Lab (APL) and works to enhance research connections between APL and academic units. Prior to joining the Office of Research as an Associate Vice Provost for Research, she served as Associate Dean for Research and Graduate Studies in the College of Engineering and Associate Chair for Research in the Department of Electrical Engineering. Dr. Ostendorf received her Ph.D. in Electrical Engineering from Stanford University. She previously worked at AT&T Bell Laboratories, BBN Laboratories and Boston University, before joining the faculty of Electrical Engineering at UW in 1999, where she is an Endowed Professor of Systems Design Methodologies. She has served as an Editor of the IEEE Transactions on Audio, Speech and Language Processing and Computer Speech and Language, as the VP Publications for the IEEE Signal Processing Society, and as a member of numerous other committees and advisory boards. Dr. Ostendorf continues to teach and maintains an active research program in speech and language processing, focusing on dynamic, data-driven models. She is an elected Fellow of the IEEE and ISCA, a recipient of the IEEE HP Harriett B. Rigas Award, an IEEE Signal Processing Society Distinguished Lecturer, an Australia-America Fulbright Scholar, and a recipient of the 2018 IEEE James L. Flanagan Speech and Audio Processing Award.